As luck would have it, the VERYWESTHAM team found themselves in Sunny Lanzarote for the recent Blackburn FA Cup tie. 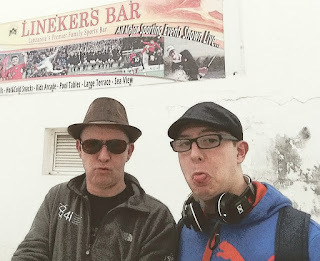 Staying in the main tourist centre at Puerto Del Carmen, we were charged with finding a suitable watering hole to take in the action and share the passion of the World's greatest soccer competition. Initial forays brought us to a variety of mock-Irish bars where barely connected Man U, Liverpool and Arsenal fans are in endless supply to offer their disproportionately partisan perspectives on all things Scouse, Mancunian or Gooner. Casting the net a bit further brought in Lineker's Bar - part of a chain of pubs started by Gary Lineker's more than slightly embarrassing brother, Wayne. At Lineker's, the multiscreen coverage is impressive, but the mid-February atmosphere was tepid at best. Then fortune came out of hiding as we stumbled (yes!) upon the Inn Place - a veritable Hammers treasure where the interior is decorated with endless Hammers regalia that would put any East London pub to shame! The pub emerged five years ago when the watering hole frequented by Hammers fans on the island went out of business. 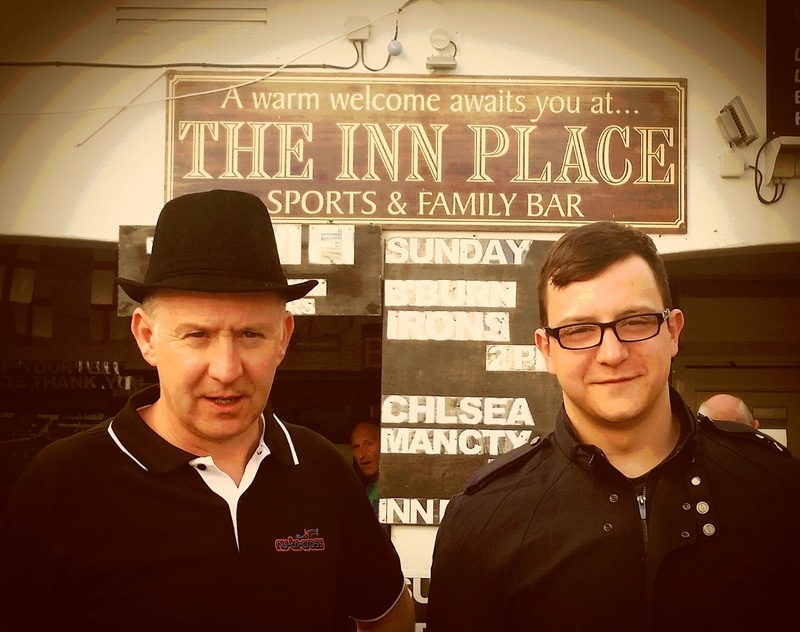 In response, the Inn Place emerged where shared landlords Jo and Rob Shard provide a warm East End welcome. After three visits to the pub, which incidentally has Old Speckled Hen on draught, we cannot recommend it more highly. Even better the atmosphere for the Blackburn game was a decent substitute for actually being at the game. Even better, the pub attracts a variety of gamey non-Hammers fans so the banter is well decent. If you find yourself forced by your significant other to go on holiday to Lanzarote during the footie season, a trip to the Inn Place is highly recommended as a place to keep up with happenings and shoot the breeze with some proper Hammers. It's easy to find just 30 seconds from the crossroads in the old town at Calle Roque Nublo 6 in the Old Town of Puerto Del Carmen. Have A Specky Hen for us while you are there!